If you are working with, for, or planning to enter an Aboriginal community in Australia the first thing you must do is begin to think like you are about to enter an overseas country. Of course physically these Aboriginal communities are in Australia, but the social and cultural reality locally is more like being in a developing nation that has been invaded by western international aid organisations. The primary difference from the situation in actual developing nations is the degree of invasion of dominant culture structures and the availability of financial resources. The Australian Government as the main ‘aid organisation’ in communities has the ablitiy to provide welfare payments consistent with first world living standards. This results in an economic situation on communities that is entirely different from developing nations. But on the other hand like developing nations most social, linguistic, political and cultural aspects of the communities are essentially foreign to the miscellaneous English speaking cultures of Australia. Most Australians are probably aware that people in many of Australia’s remote Indigenous communities speak several local languages as their first languages before English. But what they may not be aware of is that there is a different social order operating behind the back of the mainstream agencies. Take for example law and order. 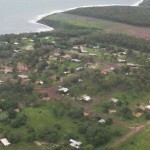 In Arnhem Land, as in other more remote Aboriginal areas the people use kinship structures, as well as ‘ordained’ elders, to determine the appropriate person/s to control violence and mediate a disputes. In the case of a physical assault certain persons in particular kinship relationships have a right, and duty, to use force to stop the assault just as a policeman might in mainstream Australia. Such situations have in the past, and recent history, been mistakenly interpreted by Australian police personnel arriving on the scene. Seeing the force used by the man stopping the original assault, they have attacked or charged this ‘traditional policeman’ instead of the criminal. Such outcomes are devastating for the community, because the original offender may get away to offend again, and the communities most effective system for controlling abuse has been undermined by the errors of the foreign mainstream system. Such errors are not primarily the result of ignorance by dominant culture personnel, but the greater fault is that dominat culture personnel fail to recognise their ignorance. They do not recognise even the possibility that another system may be in operation here. When Australian personnel are positioned overseas in places such as the Solomon Islands, Afghanistan, Timor or with any Australian embassy, there is an understanding that a different jurisdiction, political system and language exists in that place. Expatriate personnel working in foreign countries make every attempt to work with and understand the legitimate pre-existing systems. The same should be the case in Aboriginal Communities, we must be aware of our ignorance and avoid gross assumptions that assume that our western systems are the only ones in operation. Instead, when working with an indigenous community assume you are in a foreign society with its own legitimate and effective social system, recognise your ignorance of it, and ask the seemingly silly questions. If you do people will respect you for it, you will save much damage to the community and you will begin to glimpse the legitimate order, rules and structures through which the local people operate.